Book an Adirondack Golf Vacation And Save All Season Long Adirondack Region, N.Y. - Tee off at top Adirondack golf courses this summer and save with Adirondack package deals and mid-week specials offered throughout the golfing season. With more than 60 golf courses, incredible terrain, lush fairways and manicured greens, the Adirondack Region is a golfer&apos;s paradise. Enjoy a game on scenic courses like the Inlet Golf Club or Potsdam Town & Country Club with greens fees starting as low as $25, or get away for a classic summer vacation with Adirondack golf packages. At The Edge Hotel in Turin, book one of two stay and play packages and receive accommodations, dinner for two, greens fees and cart rental at either the Brantingham Golf Course starting at $193, or the Turin Highlands Golf Course. Rates start at $193 and $205 respectively. Or check out one of the many Adirondack lodging options to make your golf getaway complete. Additional Adirondack golf getaway packages include: Bluff Point Golf & Country Club&apos;s 2012 Golf Packages include accommodations and two rounds of golf on "America&apos;s third oldest Golf Course" for just $79 pp/pn midweek or $89 pp/pn on weekends. Stay in a cottage or a suite on scenic Lake Champlain. Placid Bay Inn on Lake Placid Sizzling Summer Golf Package includes two nights&apos; accommodations and 18 holes of golf with cart at either the Whiteface Club and Resort Golf Course or Craig Wood Golf Course starting at $108 pp/pn. Play the Saranac Inn Golf Course for an additional $15 per person. Top of the World Golf Resort&apos;s Stay and Play Packages offer breakfast and reduced greens fees starting at $125 pp/pn with golf available for $25 extra. Enjoy 18 holes, 6,005 yards and a par 71 - all overlooking picturesque Lake George. Malone Golf Club&apos;s Golf Packages include two nights&apos; accommodations, two days of unlimited golf with cart for first round, complimentary bag tag and club storage, as well as a Short Game Clinic hosted by PGA Professionals. Rates start at $189 pp/pn. Saranac Inn Golf and Country Club&apos;s Summer Adirondack Golf Package includes accommodations and two rounds of golf with cart, as well as a continental breakfast for $155 pp/pn. Enjoy a retreat to this 4 ½ star 2012 Golf Digest Best Place to Play. About the Adirondacks: The Adirondack Region is a six-million-acre park offering limitless recreation amid 2,000 miles of hiking trails and 3,000 lakes and ponds. Part of the largest temperate forest in the world, the Adirondacks are also home to 103 towns and villages. 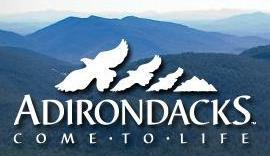 Connect with the Adirondack on Facebook.com/visitadirondacks or Twitter.com/visitadks. Search Adirondack attractions, events and Adirondack vacation packages at VisitAdirondacks.com.